Memee, what is the best thing about having Minions? Divya Murthy, teen blogger — Just because she is a teen, and a freshman blogger doesn’t mean she can’t write. She is very smart, an excellent writer and there is a youthful joy to her posts. I’ve already read several of her posts and have chosen to follow her, you might want to as well. So check out her home page at Another Teenager’s Time Capsule. Sassycare, a fellow sophomore blogger who’s blog Flavored Lemons inspired me and kept me challenging myself when I was beginning to feel discouraged. 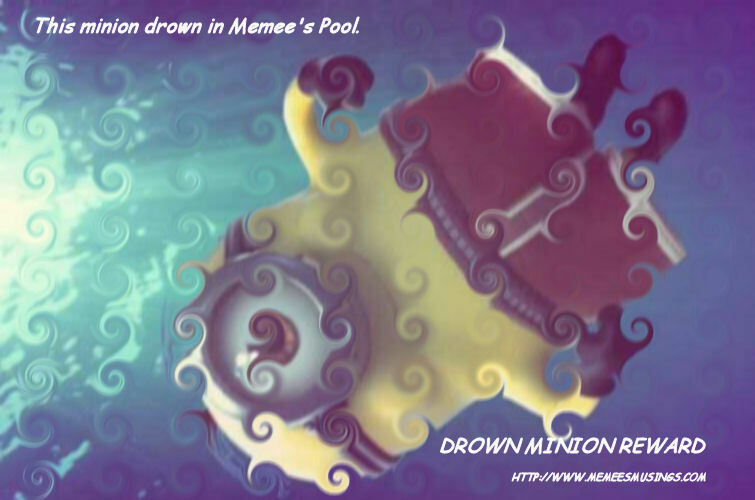 Why am I spotlighting these two particular minions over all of Memee’s Minion Army? Because they spotted the easter egg hidden in my post Diving Into Social Networks and completed, in the allotted time, the hidden objective. And they have received their special reward for it. You are awesome! Keep on inspiring and actively participating in the blogging community! The trophy can be found in the comments section of your about pages.